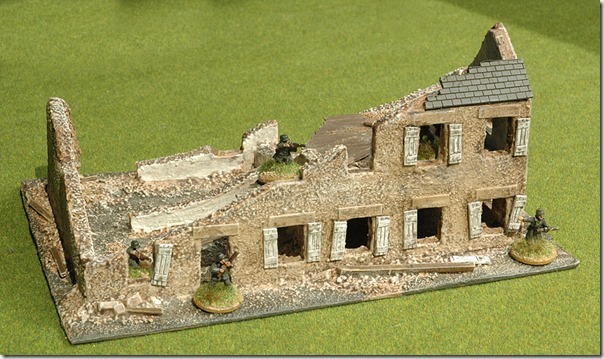 One common theme of all the buildings I’ve been modifying and scratch-building for my 15mm Normandy project is the shutters. They are such a distinctive feature of Normandy architecture that I feel that I have to have them on most of the buildings I make. If you take a look at my Google + Album of Normandy buildings, you’ll see what I mean. Note also that almost all of the shutters and window frames are painted in the same light grey colour – and that those that are not grey tend to be either green or brown. You’ll find the same thing in pictures taken in 1940. I am the type of sad man that spends weeks in France looking at things like this and my considered estimate is that about 95% of the woodwork arounfd windows is grey in colour and that about the same percentage of those that are not are either green or brown. It’s very rare to see any bright colours, and when you do it’s usually on a shop or cafe. 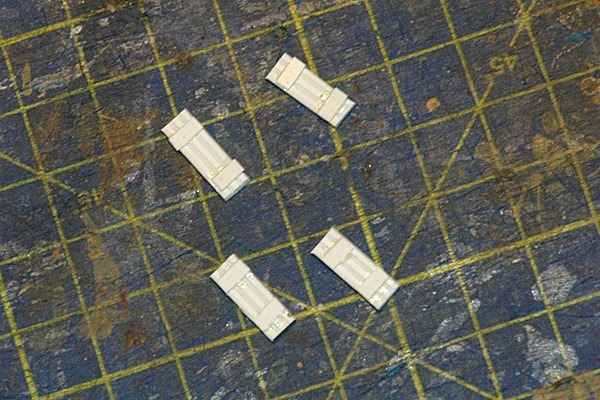 I make the shutters from this sheet of grooved plasticard I found in a model railway shop many years ago. “ That will come in handy” I thought so I bought it. And has come in handy. 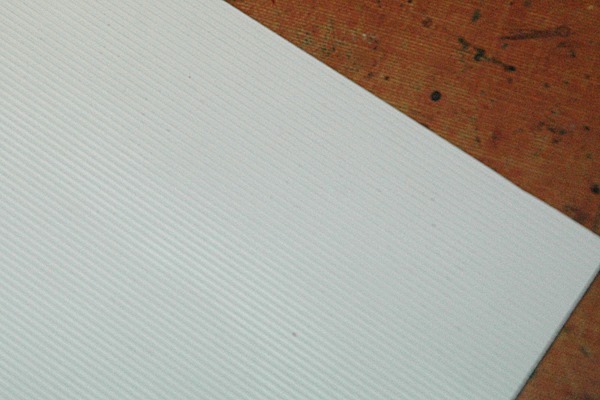 EDIT: I have found out what the styrene sheet is. It’s V-groove siding from Evergreen plastics. It’s available in two thinknesses (0.5mm and 1.00mm) with the grooves at a range of different spacings ranging from 0.65mm to 6.4mm. I bought it at Harburn Hobbies in Edinburgh, but it’s available from many model railway suppliers or from Antenociti’s Workshop. I cut it into strips that are three sections wide. 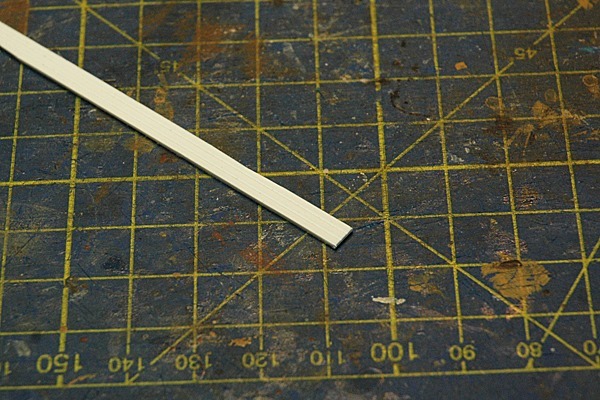 I cut the strip to length and then add cross strips of 2mm x 0.25mm plasticard. Simple as that. I paint them white, give them a black wash and then glue them on my buildings.